The dust in Kathmandu cloaks everything. It carpets the streets with a dingy layer. Women cutting waist-high grass are wearing face masks to keep it out. And it settles on the dilapidated buildings of Tribhuvan University (TU) — the biggest scientific establishment in Nepal. Narayan Adhikari, however, has managed to stay clean. Clad in an impeccable white shirt and black trousers, he adds his motorbike to a collection of some 20 others parked haphazardly in front of a 3-storey building, the university's physics department. Before entering his tiny lab, the 44-year-old researcher removes his shoes to keep the dirt out. In the lab are a dozen desktop computers, which the department received in 2009 — before that, there were none. Power blackouts happen every day, lasting for up to 16 hours, and the Internet connection works “maybe one day a month”, Adhikari says. Despite this, for the past eight years Adhikari and his students have been producing a stream of theoretical-physics papers on the properties of materials such as atom-thick graphene. It is a rare — if not unique — achievement for a physics lab in Nepal, and Adhikari's contributions are also helping to build up his department as a whole, by boosting the number of PhD students being trained there. “Doing physics in a country like Nepal is a real challenge,” he says. Adhikari's accomplishments are rooted in more than his own determination and wit; they also draw on support from the International Centre for Theoretical Physics (ICTP), an organization based a world away in the picturesque Italian seaside town of Trieste. Set up in 1964 by Pakistani physics Nobel laureate Abdus Salam and Italian physicist Paolo Budinich, it aims to advance theoretical physics in the developing world. Salam, who died in 1996, wanted the centre to be “a home away from home” for researchers from the poorest regions of the world. After they passed through the ICTP's programmes of training and research, he hoped that alumni would establish scientific communities in their home countries, rather than settling abroad as so many scientists did. Adhikari, who completed the ICTP's one-year postgraduate-diploma programme in 1998, is one of the institute's success stories. Adhikari is hardly the only one. In the 50 years since it was established, the ICTP has trained more than 100,000 scientists from 188 countries through its workshops and courses. Researchers who studied there have contributed to major discoveries in fields ranging from string theory and neutrino physics to climate change, and have racked up a trophy cabinet of academic prizes, including shares in a pair of Nobels. Most physicists credit the institute with stemming the brain drain and bolstering academia in the developing world. The institute is “widely admired”, says Martin Rees, an astrophysicist at the University of Cambridge, UK, and former head of the Royal Society in London, who hopes that it will “inspire the creation of similar institutions covering other scientific fields”. 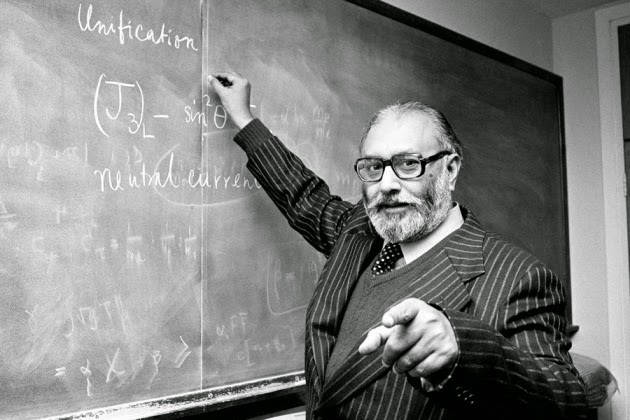 for Abdus Salam, a science prodigy from Pakistan who had been made a physics professor at Imperial College London by the age of 31, that was not enough. Speaking to the IAEA's General Conference in 1960, he outlined his idea for an IAEA-backed organization that would promote theoretical-physics research in the developing world and bridge East and West in the cold war. In the audience was Paolo Budinich, head of physics at the University of Trieste, who shared the dream. The two men initially encountered resistance to the idea of building a new centre; critics argued that it would be easier and cheaper for developing-world physicists to visit existing labs in the developed world. But Salam and Budinich won the argument, not least after they secured the financial backing of the Italian government and the support of the IAEA and the United Nations Educational, Scientific and Cultural Organization (UNESCO). They chose to locate the centre in Trieste, which was politically symbolic because it sat right next to the Iron Curtain that divided East and West. When the institute opened in 1964, it rapidly established itself as a place for high-level research and training, welcoming scientists from both sides of the Iron Curtain and from farther afield. The centre, which initially offered scientists a two-to-three-month grant to work in Trieste, “was like a source of oxygen to Third World scientists”, says Abdelkrim Aoudia, a geophysicist from Algeria who works at the ICTP. Even in the institute's early days, many Nobel laureates served as visiting professors. When, in 1979, Salam shared a Nobel prize with Sheldon Glashow and Steven Weinberg for the unification of electromagnetism and the weak nuclear force, the organization's prestige skyrocketed. Speaking at the anniversary celebrations, Salam's son Ahmad, an investment banker at EME Capital in London, wiped away tears as he remembered the sacrifices his father made while he set up the centre — not least spending little time with his children. “He had a much bigger mission in life,” said Ahmad. Today, around 2,500 developing-world scientists visit the ICTP each year. About 50 of these enrol in the one-year diploma, an intense predoctoral education programme taught by experts from around the world. (The institute identifies students through both an application process and the recommendations of researchers and teachers.) Many of the rest — including Adhikari — are part of the Associates Scheme, which supports scientists from developing countries to make regular visits to the ICTP, where they network and update their skills. What makes the institute successful, say those involved, is its focus on nurturing talented scientists and keeping them connected to the international community, while encouraging them to continue research at home. That approach is working, says Fernando Quevedo, the ICTP's director. 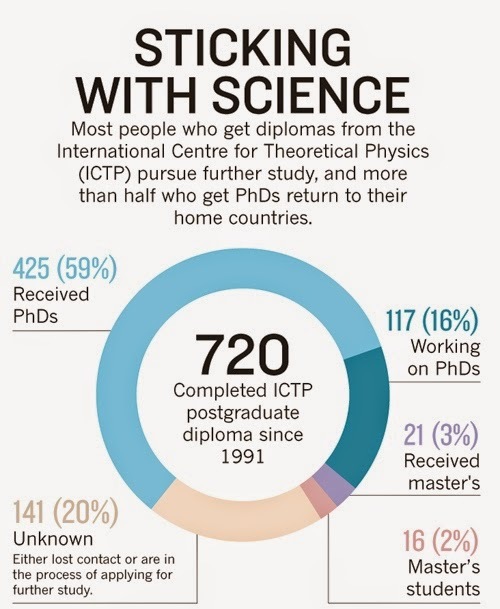 Three-quarters of the students who have completed the diploma programme have received PhDs, or are working towards them, and more than half of those who complete PhDs go back to their home countries (see 'Sticking with science'). More than 90% of associates remain in their home countries for their careers. Some, inevitably, do end up abroad, but even in those cases, the ICTP often claims success. One of the world's leading string theorists, Argentinian Juan Maldacena, who works at the Institute for Advanced Study in Princeton, New Jersey, attributes his achievements in part to the ICTP, because of the training that he and his master's supervisor received at the centre. The article is behind the paywall. If you have access, you can read it here. 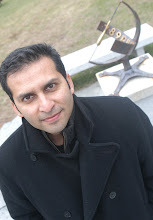 Abdus Salam Docufilm - Fundraising Teaser (2014) from Kailoola Productions LLC on Vimeo.